Boeckmans is proud to be nominated as local ship agent for the ENERGY OBSERVER in Antwerp. The first hydrogen vessel, with zero greenhouse emissions or fine particulars. 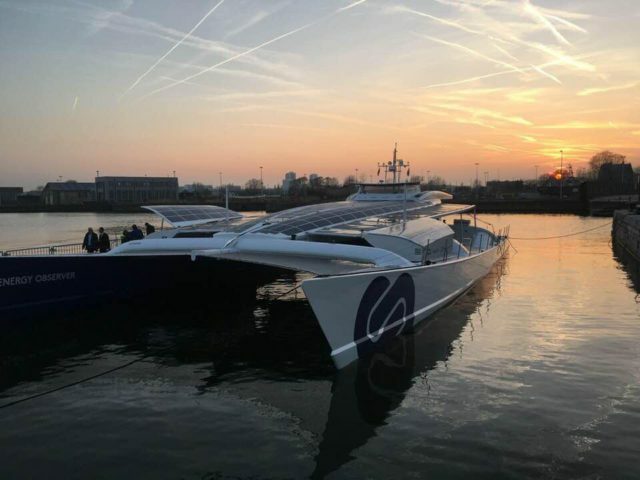 The ENERGY OBSERVER is travelling as the first hydrogen vessel around the globe. Thank you to our colleagues of CMB for this opportunity, as forerunner in the research and development of hydrogen engines and partner in this project.